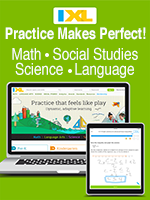 -- Select Subject -- All-In-One / Multi-SubjectArt & MusicElectivesForeign LanguagesFreebiesGeographyHistoryLanguage ArtsMathScience & TechnologySocial StudiesSmartPoints Rebate OffersSpecial NeedsTeaching ResourcesTest & AssessmentThinking & Other Skills	 -- Select Grade -- PreKK12PreK-23453-56786-891011129-12Adult	 -- Select Product -- Achieve3000ACTIVATEAdaptive CurriculumAlpha Omega 20% SaleAlpha Omega PublicationsAnalytical GrammarAnimation-ishApologia Bible StudyApologia ScienceBethlehem BooksBrainologyBrainPOPBrainWare SafariBrave WriterBright Ideas - History & ScienceBright Ideas Press GeographyBritannica Digital LearningCatchup MathCatchup MathCathy Duffy's 102 Top PicksCCC! - National Geographic Online StreamingCCC! - BBC History Online StreamingCCC! - Disney Online StreamingCCC! - Dr. Seuss & Friends Online StreamingCCC! - Focus on Health & Life Skills Online StreamingCCC! - National Science FndtnCCC! - Shakespeare Online StreamingCCC! - SmartMath & StarMath Online StreamingChessKid.comChester ComixClifford Science ClubCodaKidCodeCombatCodeMonkeyCodeREV KidsCompass ClassroomCompuScholarCTCMathCTL ChromebookDigital Theatre PlusDiscovery Education K-8 Science TechbookDiscovery Education Math TechbookDiscovery Education ScienceDiscovery Education Science High School TechbookDiscovery Education Social Studies TechbookDiscovery Education Streaming PlusDiscovery Education Streaming Plus FREE TrialDIY Desk CalendarDoodleMathsDreamBox LearningDriversEd.comDyslexia GoldEdOptions AcademyEducationCityeMedia Music AcademyeMedia Music InstrumentseTAPExplode The Code OnlineFab@School Maker StudioFascinating EducationFieldTripZoomGeoMattersGet Smart Digital ProgramGinger SoftwareGrammar In A NutshellGrammarActiveGrammaropolisHands-On EquationsHearthSong SP RebateHELP MathHighlights - MathmaniaHighlights - Thinking SkillsHighlights - Travel AdventuresHighlights - Which Way USAHistory Bombs ClassroomHMH ElectivesHMH History and Social StudiesHMH History and Social StudiesHMH ScienceHome Art StudioHome School In The WoodsHomeschool Diploma TemplatesHomeschool ID CardHomeSchoolPianoHorizonsHuman Body Detectives - ElementaryHuman Body Detectives - Middle/High SchoolIn the Hands of a Child Build Your Own BundleInstitute for Excellence in WritingiStartStrongIXLJim Hodges AudioKaplan Online Test PrepKids Guitar AcademyKumon BooksLabsterLearn Math Fast SystemsLearning AllyLearning Style AssessmentLearning Wrap-UpsLeVar Burton Kids SkybraryLIFEPACLiteracyPlanetLitWitsLitWits Individual KitsMaestro ClassicsMakeCrateMango LanguagesMapping the World by HeartMark Kistler Draw3DMaster BooksMath in FocusMath MammothMath WhizzMathCloudMathHelp.comMathseedsMCP MathematicsMCP Plaid PhonicsMeet the MastersMeister CodyMembean VocabularyMiddlebury InteractiveMindPlay Virtual Reading CoachMindprint LearningMonarchMusicLearning Community.comMUZZYMY Access!MyBoardSharemyON SubscriptionMystery of HistorymyWorldNessy.comNotgrassOcean First EducationPLATO High School SciencePLATO Lang ArtsPLATO Learning ComprehensivePLATO Learning ElectivesPLATO Math - High SchoolPLATO Math - Middle SchoolPLATO Middle School ScienceProgeny Lit Guides (Print)Progeny Press PDFsQ WunderQuick Start CarschoolingRand McNally World AtlasReading Assistant PlusReading EggsReading HorizonsReading StreetReadoriumReal Science-4-KidsRedbirdRightStart MathematicsRosetta Stone Homeschool OnlineSara Jordan Bilingual Kid SeriesSaxon HomeschoolScience Sidekicks and Science StartersScienceFusionShakespeare In BitsShillerLearning: Test PrepShmoopSigning OnlineSing, Spell, Read & WriteSmart ScienceSmartTutorST MathStarry NightStudy IslandSupercharged ScienceSwitched-On SchoolhouseTaken Charge - Core Tech SkillsThe Classical HistorianThe Classical Historian OnlineThe Great Courses PlusThe Quarter Mile MathThinkCERCAThinkwell MathThinkwell ScienceThinkwell Social StudiesTime4LearningTimes TalesTouch-Type Read and SpellType To LearnTyping PalTYSC Monthly SubscriptionTYSC Science-Art FusionTYSC STEM CollectionsuHandy MicroscopeUltimate Science CurriculumUzinggoVeritas Press Self-Paced Online CoursesVideoText Interactive OnlineVisualize World Geography OnlineWeaverWhistlefritzWhy Homeschooling ROCKS!Woodwind & BrasswindWord Voyage Vocabulary & GrammarWordBuild VocabularyWordly Wise i3000Words and Their StoriesWorld and IWorldView SoftwareWorldView SoftwareYay Math! 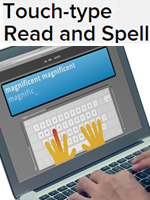 As noted dyslexia expert Sally Shaywitz has said, "When you can't read quickly, that's a disability." We agree, and that's one reason we are pleased to extend our GroupBuy for annual individual memberships with Learning Ally™, a non-profit organization that provides audiobooks to students with learning disabilities and visual impairments. Learning Ally provides an annual memberships for $135 per year for up to four (4) students. By joining our GroupBuy, you will save 42%! A membership with Learning Ally provides unlimited access to 80,000 audiobooks, including thousands of popular titles and over 50,000 audio textbooks – the world's largest collection of its kind! 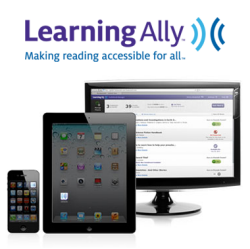 Books are available for download at the Learning Ally website and FREE playback software for PC, Mac, or i-devices is included with your membership, making it convenient to read wherever and whenever you want. Learning Ally audiobooks are read by volunteers who include teachers, doctors, mathematicians, scientists and specialists in every subject - people who can describe in correct language and detail every chart, graph, diagram and illustration. 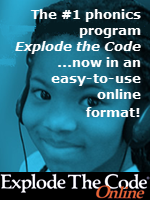 Access to the Audiobook Library of over 80,000 titles with a growing number of title available in VoiceText. Parent Community - a support service that includes one-on-one discussions with Parent Support Specialists, member-only interactive webinars led by learning disability industry leaders as well as student to student webinars, and a framework to manage your child’s education and develop their confidence. What's more, a March 2013 survey by Learning Ally of 51 homeschooling subscribers found that 96% felt their child had benefitted from using Learning Ally. To be eligible for an individual annual membership for Learning Ally, you’ll need to demonstrate that your child has a learning or print disability. (For example, a note from your family physician indicating your child had a learning disability will qualify.) 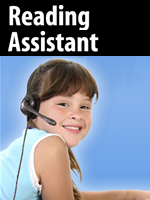 To see who qualifies and for more information click here. Please see the order form below for more information. Note: This offer is only available to NEW subscribers only! Visit the Learning Ally website for more information. Take a tour and listen to a sample audiobook. Listen to Learning Ally success stories. Fulfillment: within 15 minutes of receiving your order, the Co-op will publish a special Promo Code in your Co-op account that you can use to get your subscription at the Learning Ally website for no additional charge. We will notify you via email when your subscription is ready. If you don't receive the email, just sign in to your Co-op account and look under "My Subscriptions" for a link and instructions. 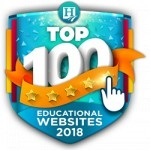 Your subscription will begin with a with a 14-day money back guaranteel the day you register on the Learning Ally website. AFTER your 14-day money back guarantee ends, your membership will convert to a fully paid up annual subscription. Please note that you will need to provide a credit card during the sign up process, even though you will not be charged. Returns/Cancellations: Learning Ally has a 14-day money back guarantee, less the Co-op's non-refundable service fee. Submit your return request at our Contact Us page. U.S. Residents Only. We're sorry, owing to copyright issues, this program is open to US residents only. Enter a QTY of 1 in the Qty space above. Note: Learning Ally allows up to four qualifying users with this 1-Year Membership, per family. A 1-year membership will give your student(s) (up to 4) access to the world's largest fully-accessible library of audio textbooks read by people, 24/7/365. Listen to books on PC/Mac, iPhone, iPad and more! Easy navigation from page to page, chapter or section. Adjustable tone and speed controls that won't distort voice quality or pitch. Bookmarking capabilities that let you pick up where you left off. Human-read audiobooks. Experts read text and explain tables, charts and graphs. Compatibility with PCs and Macs as well as many portable devices such as the iPod touch, iPhone, iPad and other DAISY-compatible devices. Annual Membership Eligibility: You must be a NEW Subscriber to Learning Ally. If you wish to renew your current subscription, you must resubscribe through Learning Ally directly. Learning Ally provides membership to individuals with a documented print disability. This means a person is somehow prevented from gaining information from printed material in the standard way, and requires alternative methods to access that information. Print disabilities include visual impairments, learning disabilities, or physical disabilities that impede the ability to manipulate a book in some way. Learning Ally's Find a Specialist page helps parents locate a professional specialist near their area. Click here to confirm that you will be a NEW Subscriber to Learning Ally (you have not previously subscribed before).